Orientation sessions: The ISO often provides introductory information security training and materials at new student and new employee orientations. Check out the Digital Self Defense Lightning Talks delivered at a recent new student orientation. Digital Self Defense training: Training specifically designed to help end users be secure. 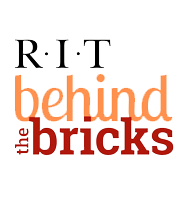 Visit the RIT Talent Roadmap to view the current course schedule or take online training. Unfamiliar with information security? You can also find links to videos and articles covering information security here. The Information Security Office conducts a number of awareness campaigns throughout the year. We communicate regularly through the RIT Message Center with Alerts and Advisories to make the RIT community aware of current threats and vulnerabilities. Visit our Posters and Videos page for a selection of our current posters and to view student-produced videos from EDUCAUSE. Visit the pages in our Keeping Safe section to learn how you can use the Internet safely and avoid online dangers such as phishing and identity theft. Contact us at infosec@rit.edu for copies of our printed materials, including posters and brochures.